Picture a cake: It’s circular, maybe rectangular, covered in a layer of single-color frosting. With the help of so-called “cake artists," however, this classic dessert is increasingly breaking the mold. 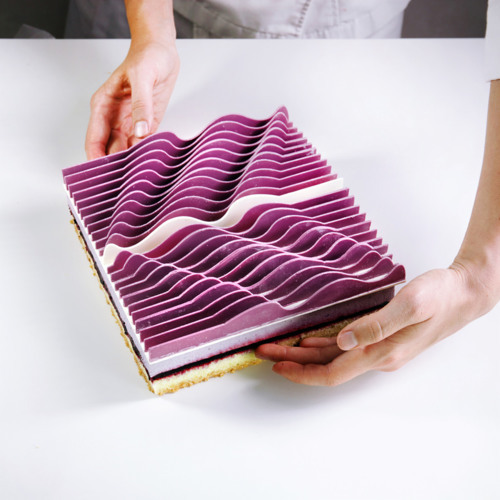 On this episode, we explore the delectable, jaw-dropping world of specialty cakes. From a life-size bust of Willie Nelson to a geometric mousse confection that resembles nothing so much as a work of Op Art, these creations are increasingly sculptural. Plus, we’ll revisit the Supreme Court case that hinges on the question: Can a cake be a work of art?